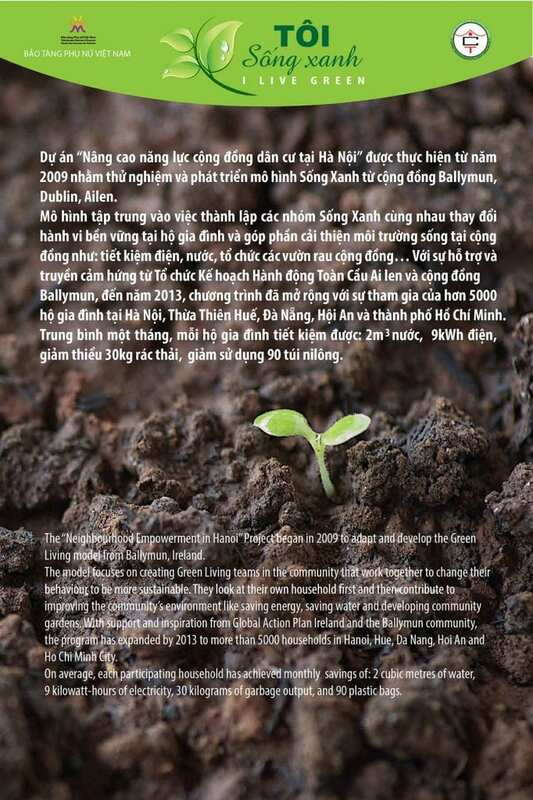 UNIS Hanoi is pleased to announce the launch on Monday of “I Live Green,” a mobile exhibition on loan to us from the Vietnamese Women’s Museum. The exhibition is on display in the Centre for the Arts foyer from 24 Sept – 5 Oct. Captions are in both Vietnamese and English. We hope students, parents, staff, and faculty will enjoy this opportunity to be inspired by our host community’s sustainability efforts as we launch our own school initiatives to improve this year.